Wireless | Fancom Connects Ltd. The term wireless, when used in a communications context, refers to the transfer of information between two or more points that are not connected physically with a connecting fibre optic or copper cable. Wireless is often used interchangeably with Wi-Fi, meaning wireless fidelity. 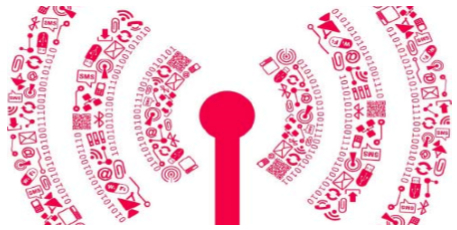 Wireless technologies can enable information transfer over short or very long distances and can enable various end user devices such cell phones, laptops, and tablets. There are a wide variety of wireless applications that can be used for such useful purposes as GPS, garage door openers and satellite television. Advancements in wireless technology have resulted in the need to regularly update the wireless standards used to define the protocols for deploying this technology. Until recently, the Wi-Fi standard has been 802.11n. This standard is associated with an information transfer rate or bandwidth of 100 to 200 Mbps. This rate of data transfer has worked well for voice and data transfer applications but would result in pixilated static images or choppy video sequences. Increasing use of video streaming in communications and emerging applications such as video conferencing, telepresence, YouTube and HDTV require greater information transfer rates; increased bandwidth. The next step in improving performance from 802.11n is the emerging 802.11ac standard which allows information transfer speeds up to 1.3 Gbps and beyond. The new standard allows for a significant increase in bandwidth resulting in a much higher quality of image transfer. Deploying wireless technology successfully requires appropriate design considerations. Parameters such as building layout, wall type and thickness, number of potential simultaneous users, outside wireless signal interference and the actual specifications of the wireless transmitting device must be taken into account prior to designing a wireless network that will serve its intended purpose. An important part of the wireless design process is the assessment of the target environment using specialized testing devices and software to show the “heat map” for the area. The heat map gives a visual representation of the invisible Wi-Fi signals in the area. Heat maps allow the wireless network designers to determine the best location and optimal number of wireless access points for any given space. These maps can show single or multi-floor Wi-Fi patterns and the effects of surrounding wall, ceiling and floor structures on the transmission of Wi-Fi signals. 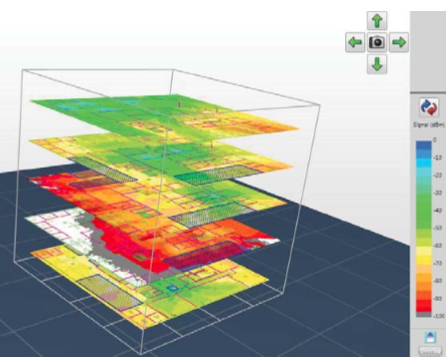 Only after a heat map is analyzed can an effective wireless network be designed.